Prefilled safety devices refer to the development of technology in the conventional form of syringes, wherein the needles are developed with safety mechanism to prevent needle stick or any other needle-associated injuries. These needles are designed and manufactured in such a way that it does not harm the recipient as well as prevents the exposure of health-workers towards susceptible risks and harmful infections. These syringes have needles that can be retracted after use, which enables safe disposal of needles and prevents misuse of the used syringes. Moreover, syringes with protective shields are also available. The prefilled safety devices are found extensively in practice these days among large number of hospitals and clinics across the globe. These devices were developed to reduce the number of needle-stick injuries and possibility of spreading of infections due to these injuries. Infections spreading through the use of unsafe needles and syringes are harmful and can be avoided through proper guidance to the healthcare workers about avoiding reuse of syringes. Commercially available prefilled safety devices include BD SafetyGlide, Sterican safety needle, SureSafe automatic retractable syringe, BD Integra, and others. According to the World Health Organization (WHO) 2016, worldwide, around 16 billion injections are given annually, out of which around 90% of the injections are given in curative conditions. The unsafe usage of syringes is observed worldwide, especially in emerging economies, which leads to infection amongst healthcare professionals and patients. Unsafe syringe usage can cause hemorrhagic fevers such as Marburg and Ebola viruses, malaria, and others. Increasing awareness about use of prefilled safety devices is expected to boost the global prefilled safety devices market growth over the forecast period. According to the statistics published by WHO, 2012, unsafe syringe usage leads to around 1.3 million early deaths annually, direct medical costs of US$ 535 million, and cumulative loss of 26 million years of life. Furthermore, needle stick injuries are uncommon but still pose a potential problem which can prove to be serious and are also responsible for passing above mentioned diseases. According to the Centers for Disease Control and Prevention, around 385,000 needle stick injuries occur annually among healthcare workers in the U.S. Furthermore, according to the World Health Organization estimates, unsafe injections are expected to lead to 9 million years of life lost by 2030, which indicates the need to employ safe injection practices. These factors are expected to drive the global prefilled safety devices market growth over the forecast period. However, lack of awareness about avoiding reuse of syringes is expected to hamper the global prefilled safety devices market growth over the forecast period. 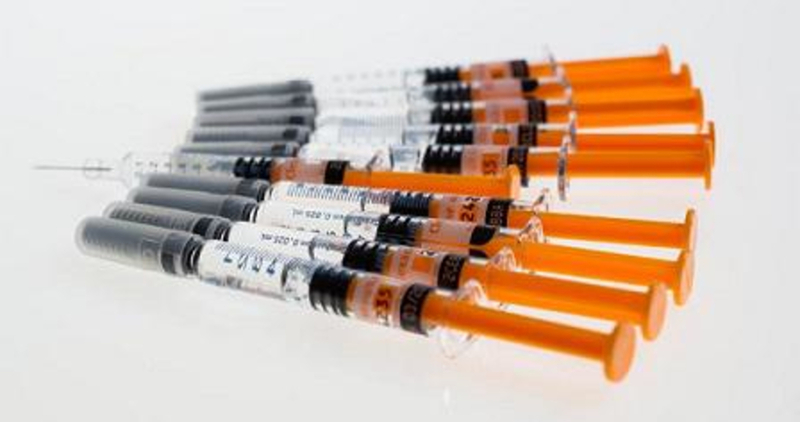 Moreover, healthcare practitioners in emerging economies such as India, Brazil, and China are habituated to reusing of syringes, in order to save cost. This, however is a changing scenario with increasing awareness and regulatory pressure. North America is expected to hold a dominant position in the prefilled safety devices market due to increasing demand for prefilled syringes with safety features, technological improvements, and increasing government intervention to curb improper practices associated with the usage of syringes. U.S. prefilled safety devices market has presence of leading manufacturers such as Becton, Dickinson, and Company, offering technologically advanced safety devices in the country. Key players operating in the global prefilled safety devices market include Retractable Technologies, Inc., Becton, Dickinson and Company, B.Braun Melsungen AG, Axel Bio Corporation, DMC Medical Limited, Sol-Millennium, Medigard Limited, Smiths Medical Inc., Globe Medical Tech, Inc., and UltiMed, Inc. The global prefilled safety devices market is segmented on the basis of product type, mechanism, end user, and region.